Reduce the need to scrape nest boxes every day. 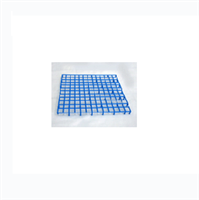 Use plastic grates for the nest box floor or place in training baskets. Measure 14"L x 13"W x 3/4"H. Can be cut to fit any nest box. For easy clean up, place newspaper underneath grate to catch droppings.